Princely India and the Royal India Tour packages of the Royal Indian Rail Tours Limited which takes you through the western states of India namely Maharashtra, Gujarat and Rajasthan towards Delhi as the final destination with royal style of living. To know more about these packages go through the article carefully. Princely India Tour package is an extra ordinary and spectacular journey through the western parts of India namely Mumbai, Jodhpur, Udaipur, Vadodara / Baroda to Agra and then to Delhi the capital city of India. Royal India is the reverse of the Princely India journey. Destinations covered - Mumbai, Vadodara, Udaipur, Jodhpur, Bikaner, Jaipur, Ranthambore , Agra and delhi. Assemble at 14 hours at the Taj Mahal Palace and Tower in Mumbai. Complete registration and check in formalities for the Maharaja Express. You will be welcomed and greeted with a drink. The train departs at 16.40 hrs from Mumbai and travels to Gujarat towards vadodhara / Baroda . Dinner and the night stay aboard the train. Later you will be taken for sight seeing in a convoy of cars through some of the picturesque countryside to the quaint hamlet of Jambhughoda. You can also visit Champaner-Pavagadh Archaeological Park, an UNESCO world heritage site and the jamma Masjid. After the sumptuous lunch along with the family members of feudal lords of Jambhughoda, return to Vadodhara. Visit Maharaja Fateh Singh Museum. Supper' at the magnificent Laxmi Vilas Palace, which was designed in Indo-Saracenic style of architecture. Return to the station and board the train for your onward journey and stay the night at the Maharaja Express. You will be at Mewar in the morning in time for breakfast. Udaipur is a city of white palaces , placed lakes and green hills. When you begin your sight seeing tour of Udaipur you will be visiting the City Palace, Tthe largest Palace complex in Rajasthan. Visit Mor Chowk / Peacock chowk, Moti Mahal, Chini Mahal and the Zenana mahal. You will experience the royal hospitality at the Durbar hall . Following lunch you can return to the train for a leisure or as an option of enjoying spa facilities in a palace hotel. In the evening you may walk through the Old Market of Udaipur. Do either shopping or window shopping as you browse through shopps selling exquisitely embroidered and printed fabrics, jewellery, paintings, carved wood artefacts and other local crafts. The train passes through the Marwar region in the morning of the 4th day and you can see the dramatic landscapes of the Thar desert passing by as you enjoy your breakfast in the Maharaja Express. You will be reaching Jodhpur by forenoon and after lunch start exploring the capital of Marwar. 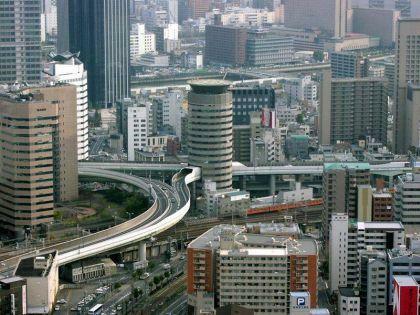 The City has a lot of forts and palaces which are magnificient and there are some other architectural wonders also. You can go for a walking tour of the old clock tower market , see someof the oldest houses and havelis and go to the magnificent Meherangarh Fort. The highlight of the day is a Royal Cocktail evening with a wide array of sumptuous Marwar culinary delights served in the Royal courtyard of Meherangarh Fort. Later return to the train and continue the journey to Bikaner. Night Dinner and stay in the train. You can watch the desert as the train moves towards Bikaner, have breakfast and see the cineraria trees, the villagers attired in colourful turbans and the occassional camels, breaking the monoyony of the scenes of the desert. Bikaner was also known as the Camel county in the earlier days. You will reach Bikaner in the late moring, relax on board or you can fgo for an optional tour of the city visiting Lalgarh Palace Museum. After lunch you will proceed to Junagarh Fort, a formidable structure encircled by a moat, its real beauty lies inside, namely Diwan-i-Khas, Phool Mahal (Flower Palace), Hawa Mahal, Badal Mahal and Anup Mahal etc. A royal pageantry as a convoy of decorated canopied camel carts accompanied by musicians takes you for a Sundowner in the Sand Dunes to enjoy cocktails, savour traditional mouth watering barbecue delicacies. Later you can return to the comfort of your train and the train starts moving towards Jaipur. 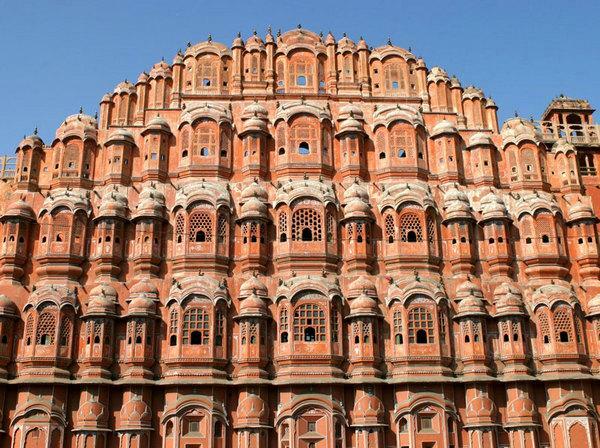 On the sixth day you reach the pink city of India, Jaipur. You will be taken to an Exhibition Elephant Polo Match and will be welcomed by the royal military band and the beating of 'Nagadas' (huge Indian drums). 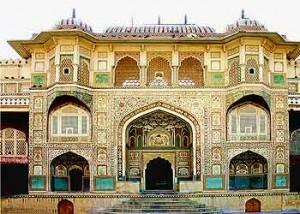 After Lunch you will leave for Amber Fort with its fortified battlements overlooking the Maota Lake. A short jeep ride takes you up to the fort , you can see royal apartments, Chamber of mirrors and a hall of Victory. 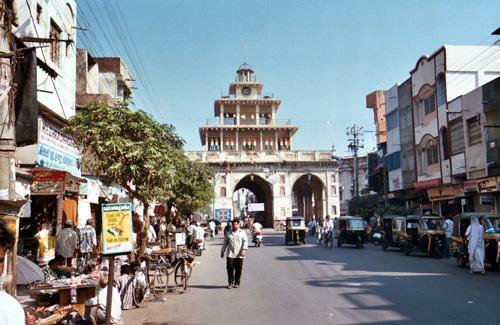 You can do some shopping also for the finest jewellary, textiles and blue pottery for which jaipuris reknowned. After lunch you can choose optional tours or enjoy sps facilities, private shopping tour or enjoy Golf. Dinner and night in the train. You arrive at Sawai Madhopur early in the morning , go for the safari into the Ranthambore National park which is famous for its open sightings of tigers, sambar, chital, nilgai, chinkara, wild boar, sloth bear, hyena, jackal and leopard. Breakfast at Taj Sawai Madhopur Lodge and then return to the train continue your journey to Fatehpur sikhri. You can admire the changing scenery as you have your lunch. As soon as you reach Fatehpur Sikri, you will proceed on a tour of the fascinating sights comprising of imposing gateways, Halls of Private and Public audience, beautifully sculptured palaces with unique water bodies, reflecting a perfect blend of Hindu and Muslim architectural styles. Later return to the train, have dinner and stay the night. You are on to the last leg of your journey on the Maharaja Express, that is to Agra and then Delhi. Early morning as the train reaches Agra , you go for a sight seeing tour of Taj Mahal, the jewel of India. You can enjoy champaghne from the top of taj Khema have a hearty breakfast, return to the train. You can have your lunch on board while you are on the way to Delhi. 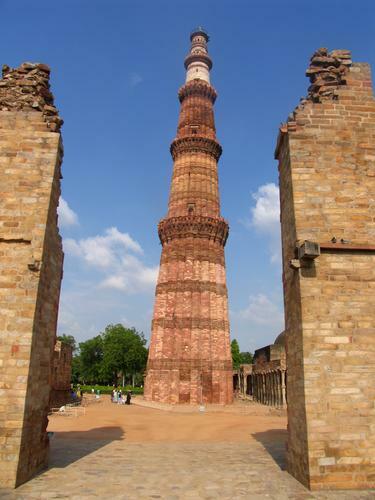 Your tour of Princely India comes to an end at about 15.30 hours ao arrival at the Safdarjung station. Royal India Itinerary is just the reversal of the Princely India tour itinerary. checkin and get the formalities done. Embark the train and it leaves the station at about 22.00 hours to Agra. The places you visit for sight seeing on all the days of the tour and the plans will be the same as for Princely India packages. On the day 8 you will reach Mumbai and after breakfast, you will disembark at the Lokmanya Tilak Terminus . Royal India journey gets over but the memories of these train journeys will remain with you forever. You will never be able to forget the royal treatment you received in the train and wherever you went. How to Book the tickets for Princely india and Royal India tour packages Online?